Mantra : "Om Hreem Namah "
Diety : Ukar the "OM"
The One Mukhi Rudraksha is the symbol of UKAR i.e. which is formless, depthless, shadow less, Godhood, Supreme Truth and Attainment of Eternity who has created this entire world. The one Mukhi Rudraksha belongs to Shiv UKAR and keeps the balance of the entire universe. 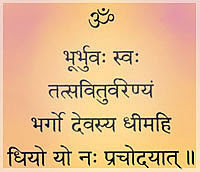 "U" can also be understood as Hiranya-Garbha, Shankar-Tejam, Yoga-Darshan and vast(boundless). 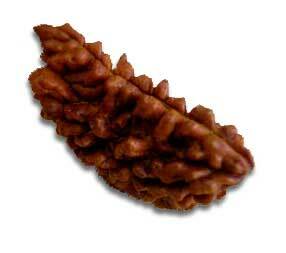 The wearer of this Rudraksha should meditate on the symbol of " Om". The person who leaves the world while meditating on " Om "; liberates and finds the best destination after death. He gets the opportunity to have darshan of Lord Shiva. This Rudraksha if worn after proper Sidhhi ( method of purification & charging with Mantra); undoubtedly all desires of the wearer will be fulfilled. It is useful in Meditation and gives highest results. It also keeps the mind cool due to its property. It is best suited for Saints and can also be worn by all others. Any followers of Lord Shiva who is poor if wear the one Mukhi Rudraksha; achieves prosperity and all his wishes are fulfilled. Thanks for information about One mukhi Rudraksha and Its really helpful to understand the importance and value One Mukhir Rudraksha.